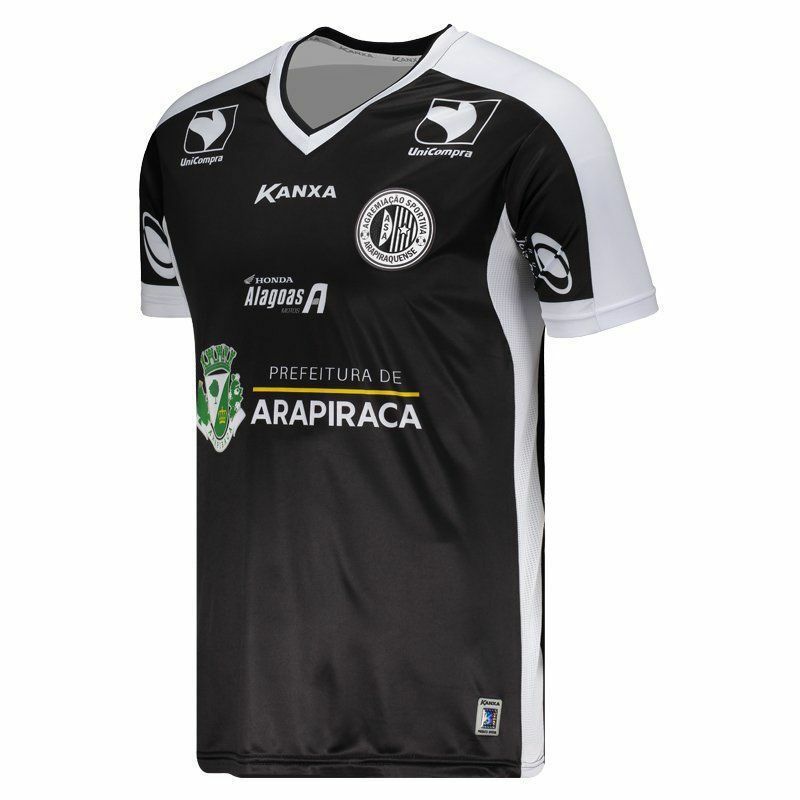 Manufactured by Kanxa, the Arapaque's Asa reserve jersey for 2018 features assorted numbering and offers name customization at the team's source. Manufactured in lightweight polyester, the piece features DRY SOFT Kx 108 technology. More info. Manufactured by Kanxa, the Arapaque's Asa reserve jersey for 2018 features assorted numbering and offers name customization at the team's font. Manufactured in lightweight polyester, the piece features DRY SOFT Kx 108 technology, built in 108-strand polyester microfiber, which provides extreme softness to the touch and faster transport of sweat to the outer layer of the product, allowing greater temperature stability during movements. 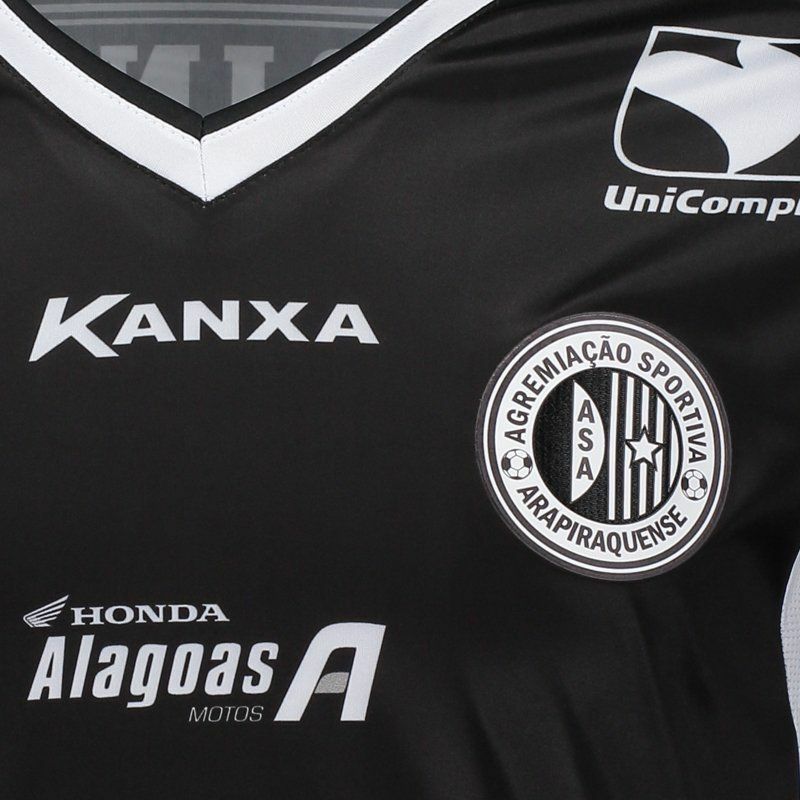 Its design is composed of black color with blank cutouts, plus the club badge seen on vinyl on the left side of the chest. In addition, it brings stamp of sponsorships for all composition. Finally, the sleeves are short and complementing the details, your collar is V.